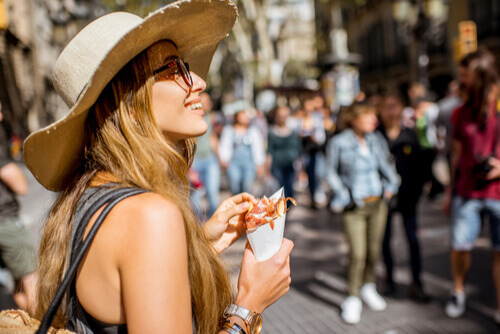 From the convivial hum of a tapas bar to the clamour of a market in full swing, Spain’s gastronomy is best experienced with all the senses. While the cuisine varies wildly from region to region, there a few dishes and tipples every visitor should sample in one of Europe’s most exciting food cultures. While tapas has made its way around the globe, the interpretations found outside Spain rarely resemble the real thing. 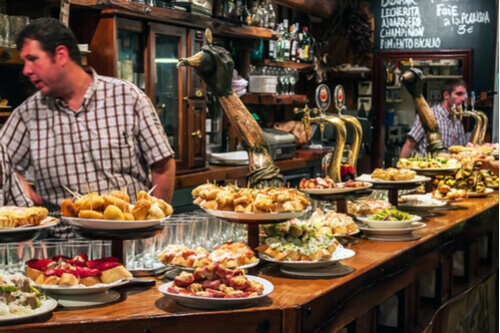 In its basic form, tapas are cheap or even free nibbles best enjoyed with an elbow propped on a bar. To ‘tapear’ is a social event as much as a meal and night owls hop between tapas bars to fill up on bite-size morsels. Tapas reflects the cuisine of the region in which it is served, but some of the most common examples include the humble tortilla, an omelette layered with potato and onion; breaded, fried croquetas; gambas al ajillo or, prawns with garlic; and patatas bravas, potato chunks drizzled with a spicy tomato sauce. Where to try: Andalucía is often credited as the birthplace of tapas, and in the Andalucían city of Granada, it’s possible to find bars where tapas is still free with a drink. A fortified wine enlivened with botanicals, vermut (vermouth) is a time-honoured drink that has enjoyed a renaissance across Spain. Although better known outside Spain as a component of cocktails such as negronis or martinis, Spaniards appreciate the aperitif for its own merits. The highly drinkable vermút rojo or red vermouth is the preferred tipple, generally served straight or con sifón (with a dash of soda) and garnished with an olive and orange slice. 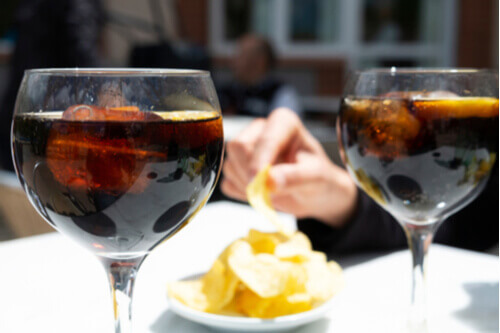 The hora del vermut (the vermouth hour) is a treasured excuse for a pre-lunch vermut with neighbours or colleagues and paired with salty snacks. Where to try: Trendy Barcelona helped drive the mainstream resurgence of vermut. You’ll often find a house-made version on tap in the Catalonian capital’s growing contingent of vermuterías (vermouth bars). The plain deli meat we know pales in comparison to Spanish jamón (ham). Ruby red, intense and meltingly tender, wafer-thin slices of jamón take pride of place on Spanish tables at any time of day. Jamón is split into two wider categories: jamón Serrano, made with the cured back leg of the common white pig and jamón Ibérico, from the black Iberian pig. At the top of the pack is jamón Ibérico de bellota, made from pure-bred Iberian hogs left to roam for bellota (sweet acorns). While you might discover jamón Serrano served on bread or sweet melon and jamón Ibérico alongside Manchego cheese and olives, purists would hold that jamón Ibérico de bellota needs no accompaniment at all. Where to try: The Denomination of Origin recognises four jamón Ibérico zones: Extremadura, Los Pedroches, Guijuelo and Huelva. Stop at a local market or wine bar to enjoy the finest jamón hand-sliced as you wait. One of the most tangible (and tasty) traces of the Moor’s centuries-long rule of Spain is in its food. In the 8th century, invaders brought ingredients such as rice, spices, sugar cane and almonds to Spain. Two of these imports – rice and saffron – are integral to the famous dish paella. This enormously satisfying one-pan meal is named for the pan itself, the paellera, and includes whatever produce is on hand. In the coastal regions, it’s made with seafood but might include rabbit, duck, frog legs or even snails. 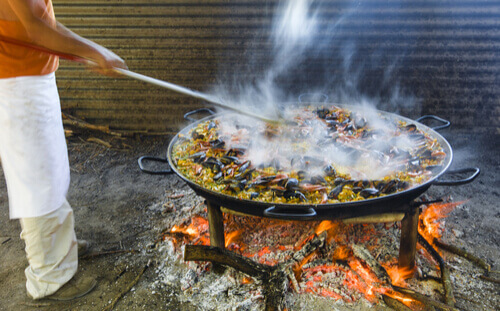 Whatever’s in the mix, the most treasured part of the meal is the socarrat, a toasted crust on the bottom of the pan that indicates a perfectly cooked paella. Where to try: Valencia’s Albufera region has a reputation for producing the country’s best rice and it was here that paella originated. Order a Valencian paella for lunch (Spaniards never eat paella for dinner), featuring chicken, rabbit, green and lima beans and rice from the region’s fields. 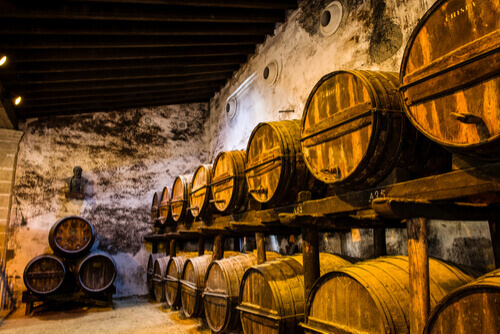 Forget that bottle of cooking sherry collecting dust in your liquor cabinet – Spanish sherry is a complex and versatile fortified wine dating back to ancient times. True sherry hails from the so-called Sherry Triangle of Jerez de la Frontera, Sanlúcar de Barrameda and El Puerto de Santa Maria in southern Andalucía. The nuances of its production could take a decade to explore, but suffice to say Spain takes sherry seriously. The intensely dry fino and manzanilla sherries pair beautifully with salty flavours and seafood. In tapas bars, these varieties are often served chilled. Amontillado often appears with rice dishes and oloroso with meaty stews. Pedro ximenez makes for an indulgent dessert wine. Where to try: As the Andalucían capital, Seville is proud of its sherry. Walk into nearly any bar and restaurant in the city and prepare to have your lingering misconceptions of this underappreciated drink shattered. Between the razor clams and prawns, tuna and mussels, octopus and calamari, a seafood lover in Spain will think they’ve landed in heaven. Of all the aquatic ingredients harnessed in Spanish cooking, bacalao (salted Atlantic cod) is one of the most ubiquitous. Overfishing, however, has led to a scarcity of this once economical staple. 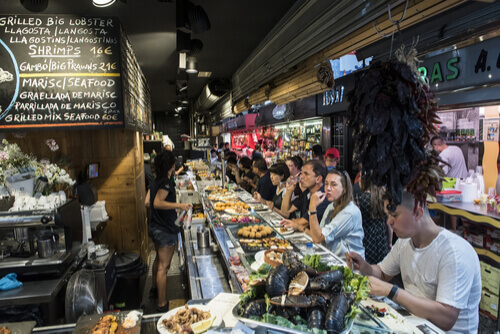 You’ll find no shortage of alternatives, however, as the hauls of the Iberian Peninsula have led to countless fishy delicacies. Where to try: Every Spanish region has numerous seafood specialties to call their own. From north-western Galicia comes the popular dish pulpo a la gallega, paprika-dusted octopus served on sliced potato. Coastal Malaga is the place to snack on espeto (grilled sardines) or boquerón (local anchovies). While in Barcelona, track down suquet (hearty fish stew), and make a point to sample the famed lobster stew caldereta de langosta on the island of Majorca.